It's Show and Tell Tuesday Time!! I love this link up that Andrea host! So Much Fun! Today we are sharing what is in our bag!! I generally only carry Brighton Purses!! My mother in Love introduced me to Brighton 14 years ago and I have been a believer ever since! The quality of the bags are amazing, but their customer service is above and beyond!! I have several Brighton bags, but one of my "summer" bags is this straw purse! A view from the top!! I always have these items in my purse! Wallet (also Brighton), phone, make up bag- it's from Vera Bradley, kindle, and Erin Condren Life Planner!-they just released new planners June 1st! Let's talk a little more about this cute make up bag from Vera! It is so cute and holds a good bit of stuff! I have kleenex, lipsticks, lip liners, pill box, -Brighton, mirror, and a compact! Ruffle Cosmetic! Looks like they come in a few patterns and are on sale! Can't wait to see what is in your purse/bag!! 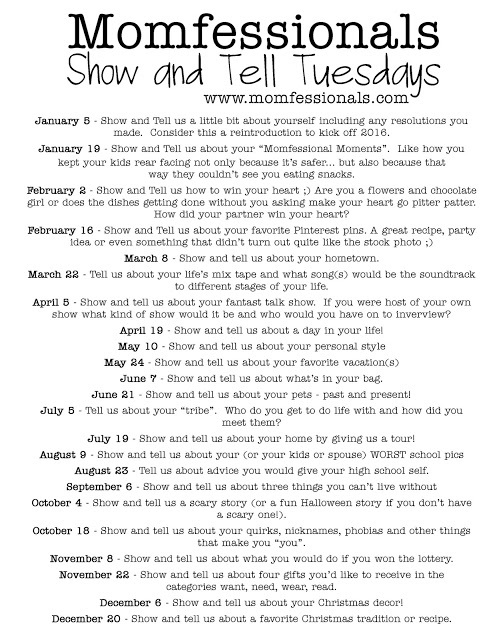 Other Show and Tell Topics! I am loving the little ruffle bag!! So cute - maybe I need to update my accessory bags!! I love the interior of both bags! I'm going to check out the Brighton brand. And Vera Bradley cosmetic bags on sale? Count me in! Thank you Reba and thank you for stopping by!! I love the Brighton brand! They sell jewelry, shoes, bags, etc! Pricey, but GREAT products! What a cute bag!! And I love the vera bag as well =) This is always a fun linkup! Thank you Johannah!! Love this link up series!! love the bag! it's so adorable! great post friend! 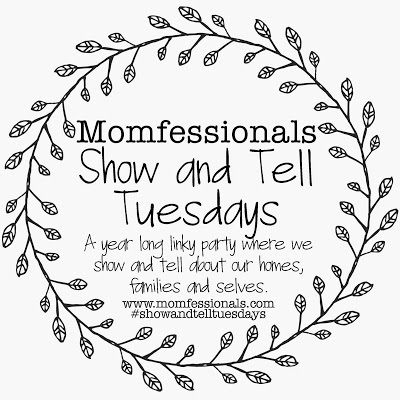 so glad i found your blog through the show and tell link up today! Thank you!! You have stopped by my previous blog "Ohmyglitterdesigns.blogspot.com" but I recently renamed it!! Ahhh..the straw bag is perfect for Summer!!! I love it! I feel like a #amen is in order for the EC planners...where would we be without them?! Most definitely an #amen for EC!